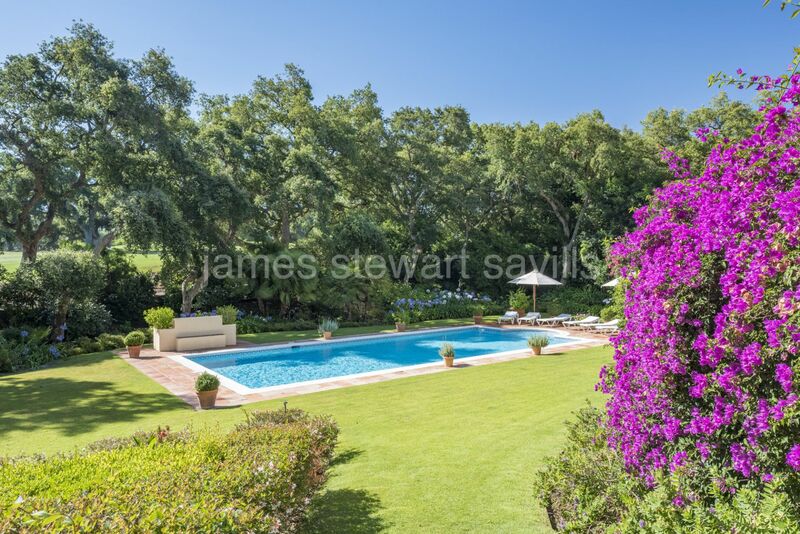 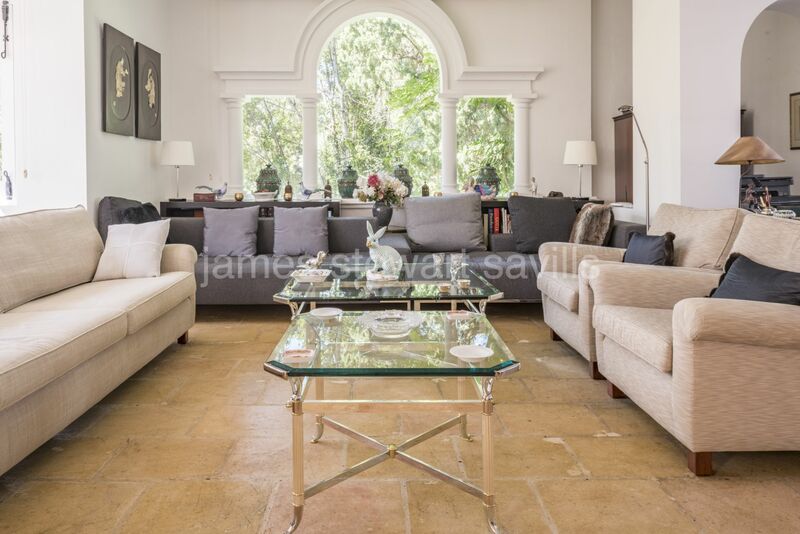 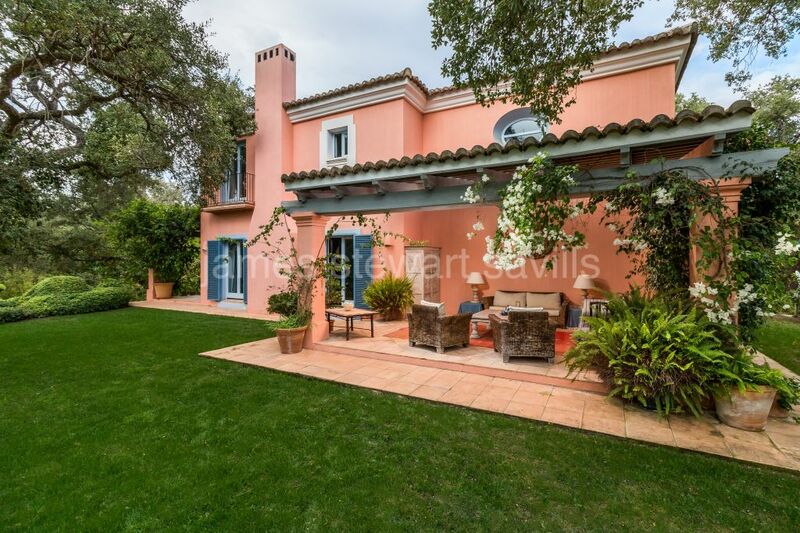 A wonderfully characterful three storey villa in an elevated position overlooking the beautiful cork oak trees of the Real Sotogrande Golf Course in Sotogrande Costa. 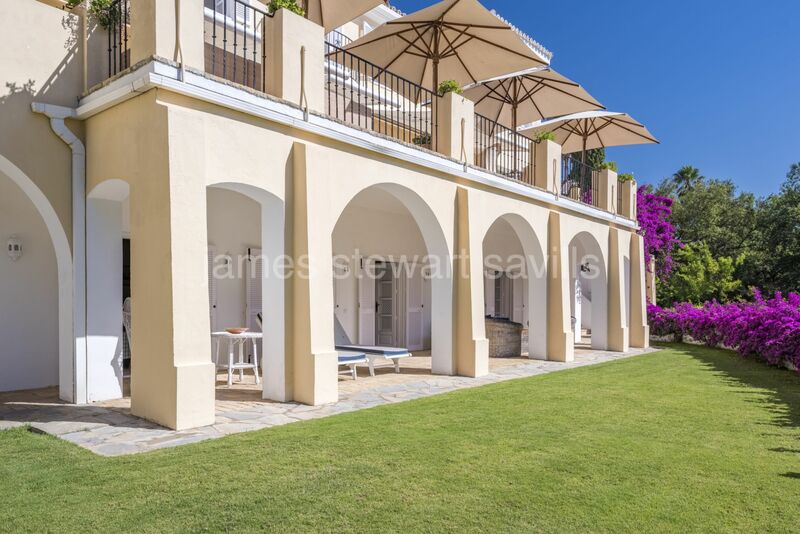 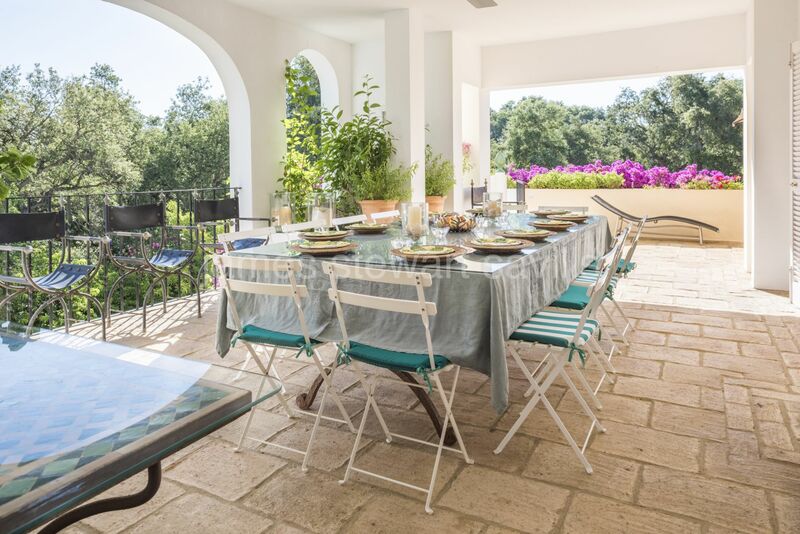 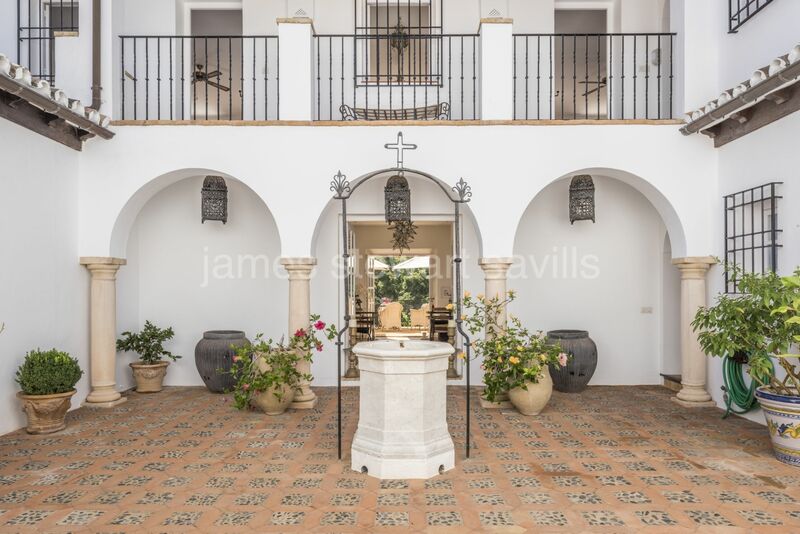 Entrance is via an Andaluz courtyard into the entrance hall followed by dining and drawing rooms Both of these rooms lead out onto a spacious terrace which overlook the pool and garden. 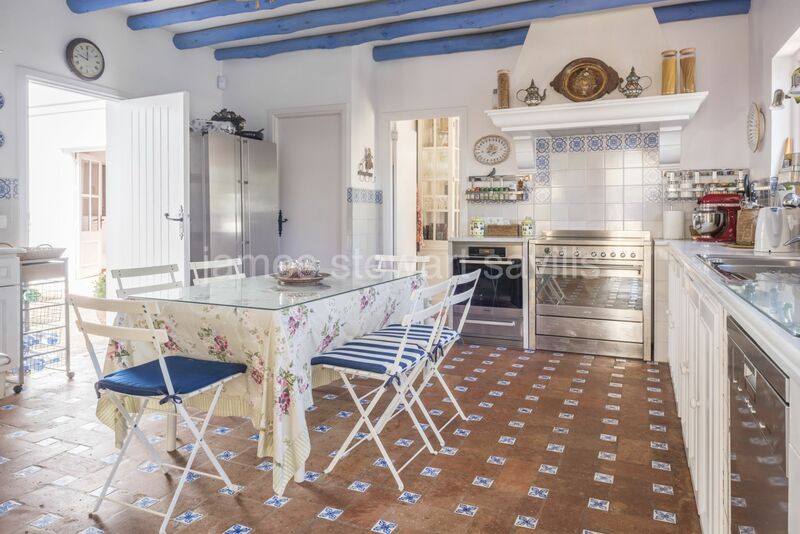 The kitchen with beamed ceiling and utility area is connected to both the dining room and covered outdoor eating area. 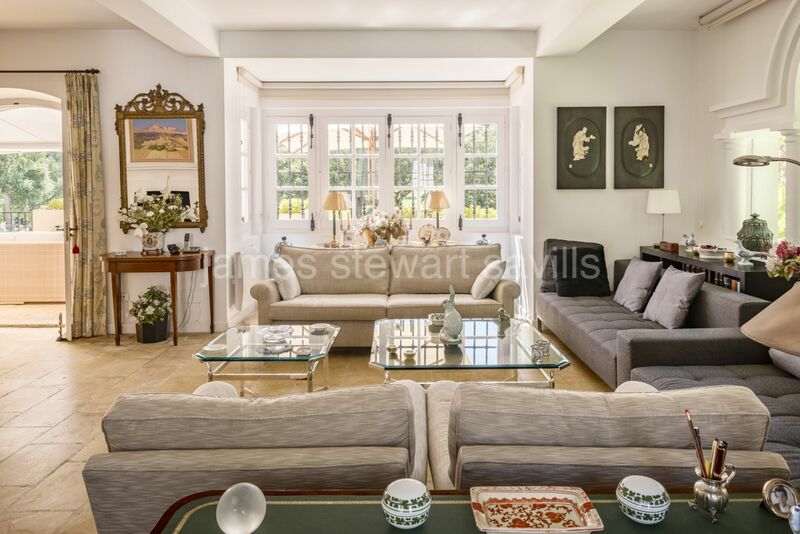 There is 1 en-suite bedroom one with fireplace on entrance level, 2 more very spacious suites on the upper floor and a further 3 en-suite bedrooms. 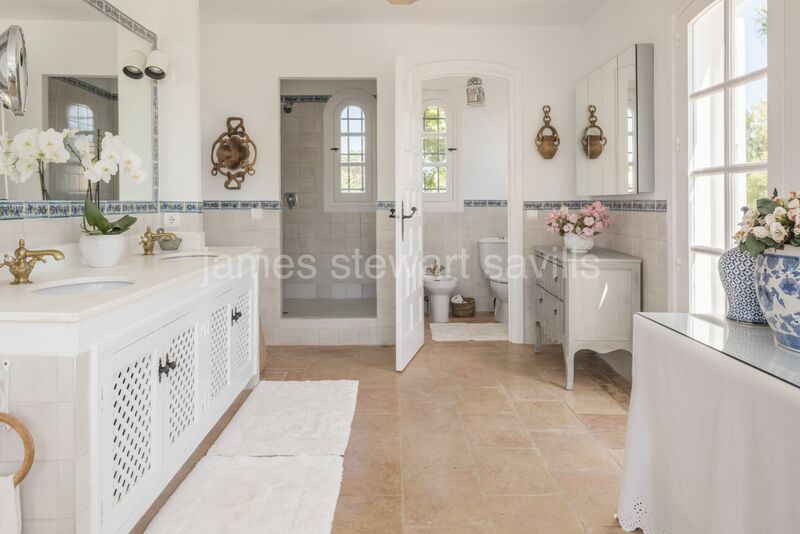 An en-suite staff bedroom makes a total of 7 rooms. 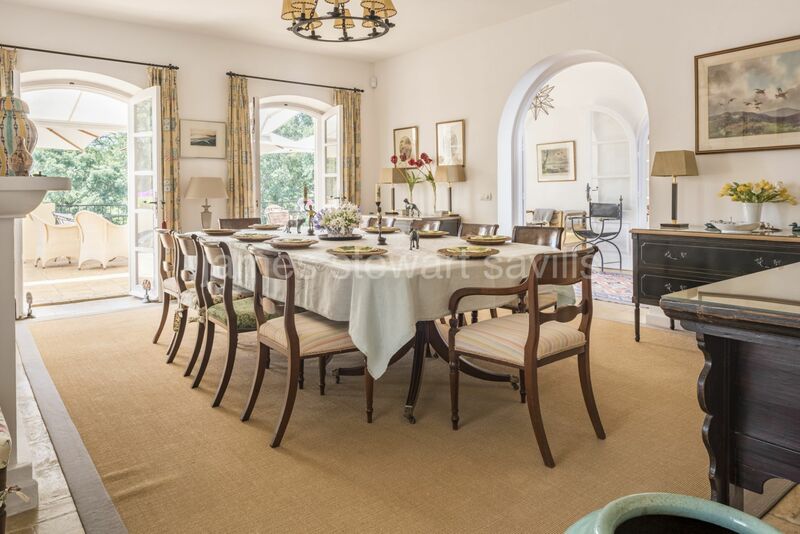 All rooms are spacious and charming with a lot of character. 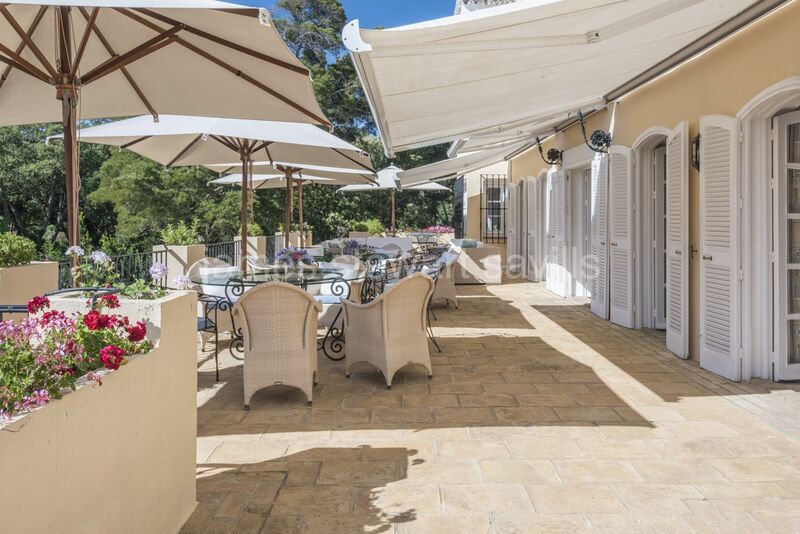 There is a total of 337m2 of terraces. 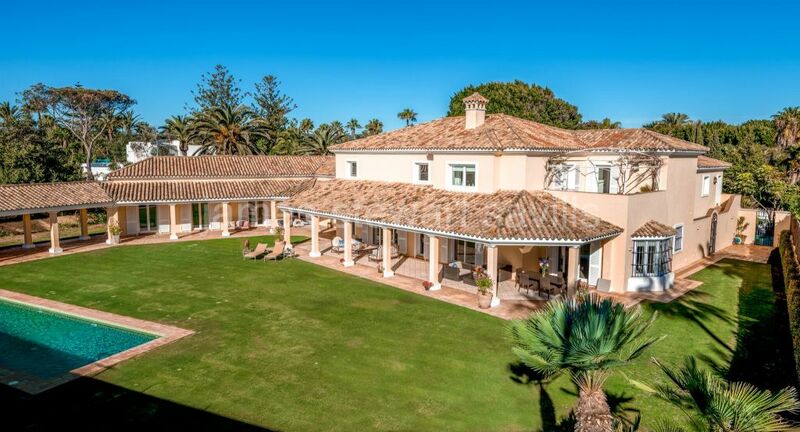 Extras include partial air-conditioning (in the living areas and some bedrooms), garage, fibre optic internet and security system. 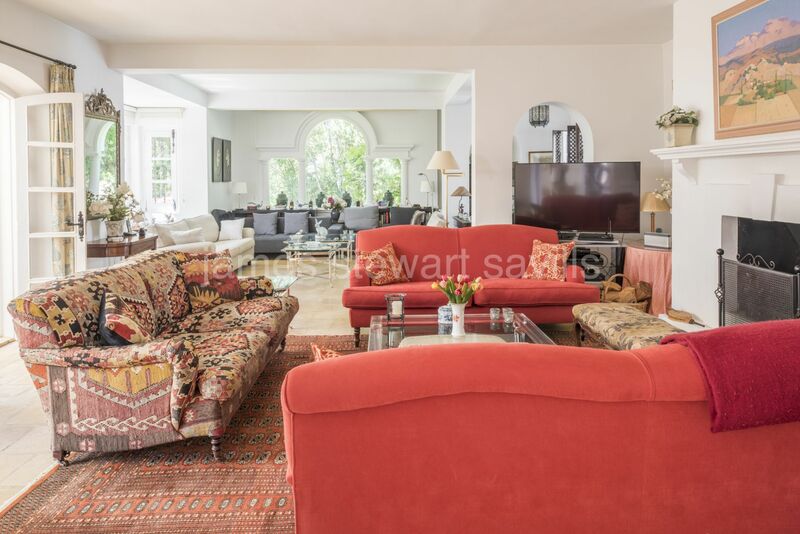 It is a very attractive property in immaculate condition.